Food Network's most popular show Food Network Star will return for its 13th season on Sunday, June 4th at 9pm ET/PT. Bobby Flay and Giada De Laurentiis will once again be the hosts/mentors for the season. Matthew Grunwald also competed in last season's Comeback Kitchen, which was won by Martita Jara. The web series Star Salvation will also be included in season 13 of Food Network Star. Jeff Mauro and Alex Guarnaschelli will be the hosts and eliminated contestants will get a chance to re-enter the competition on August 6th and become one of the final four contestants. The contestants competing on the actual show Food Network Star season 13 are: Cory Bahr (Monroe, LA); Blake Baldwin (Flemington, NJ); Trace Barnett (Brilliant, AL); Toya Boudy (New Orleans, LA); Addie Gundry (Lake Forrest, IL); Rusty Hamlin (Atlanta, GA); Suzanne Lossia (Detroit, MI); Nancy Manlove (Texas City, TX); Amy Pottinger (Honolulu, HI); David Rose (Atlanta, GA); Jason Smith (Grayson, KY); Caodan Tran (Dallas, TX), and the winner of Food Network Star: Comeback Kitchen. If you are interested in learning more about the contestants, here are some bios. Also for more information on Food Network Star season 13, multivu has episode descriptions and images. Below is the press release about the upcoming season. I will do another post about the contestants closer to the season airing. NEW YORK – April 12, 2017 – Culinary icons Bobby Flay and Giada De Laurentiis return as mentors and judges on Food Network’s elite competition series Food Network Star, premiering Sunday, June 4th at 9pm ET/PT. Thirteen fresh competitors enter the kitchen to showcase their cooking and on-camera skills over 11 episodes, to prove to Giada and Bobby they have what it takes to join the Food Network family. Ramping up the stakes, co-hosts Valerie Bertinelli and Tyler Florence return to co-host a second season of Food Network Star: Comeback Kitchen on Sunday, May 21st at 8pm ET/PT, as seven former Food Network Star finalists battle it out against each other through three episodes to earn the thirteenth and final spot in the new season of Star. 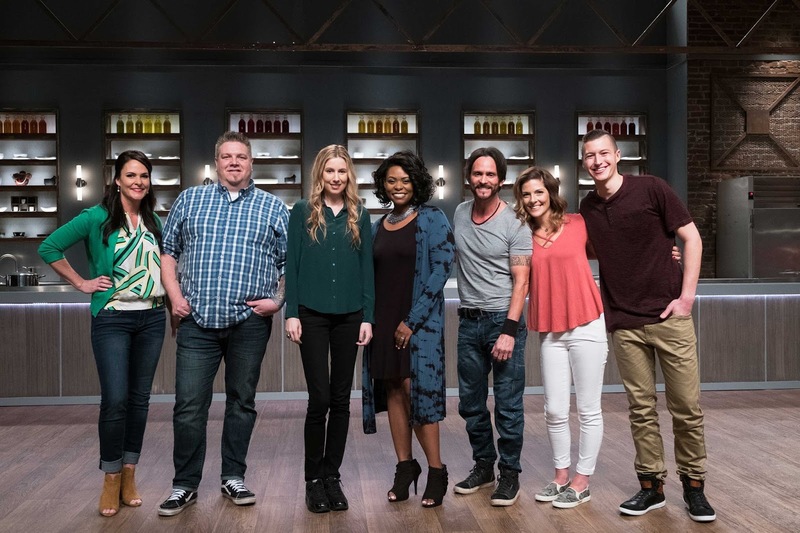 Exclusive web-series Star Salvation, hosted by Alex Guarnaschelli and Jeff Mauro, also returns to give one finalist eliminated during the season a second chance to rejoin the competition. The Food Network Star season thirteen winner will be crowned on Sunday, August 13th at 9pm ET/PT. Volkswagen also returns as a sponsor within the series this season, featured in a comprehensive and organic integrated execution, aiding the finalists in their bid for stardom and helping to elevate and drive the action as the competition proceeds to its heart-pounding conclusion. For more Food Network Star, fans can visit FoodNetwork.com/Star all season long for exclusive interviews, video, blogs, quizzes, behind-the-scenes photo galleries and more. Fans can also connect with each other and the show’s stars on Facebook at Facebook.com/FoodNetwork and on Twitter with the hashtag #FoodNetworkStar.